Even if you have no experience in cannabis growing, we bet you can get some incredible results from the Barcelona based breeders Eva Female Seeds. The entire range of marijuana seeds for sale are provided with the amateur grower in mind. Every seed is feminised, so will grow beautifully delicious cannabis without the worry that the plant will be male. While the strains that are developed, have been specifically chosen for easy growing, mind blowing effects and strong yields, here at the Original Seeds Store we think even more advanced cannabis growers will still want to take a look at Eva Seeds. The range of unique strains and exclusive mixes provide an opportunity to experiment with flavours and aromas that you will never have experienced before. 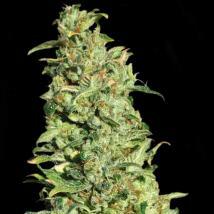 Buy Eva Seeds Jamaican Dream cannabis seeds and you are going to have a mostly sativa plant that will deliver bags of energizing weed that fast flower in less than 45 days indoor and harvest in September outdoor or there´s Eva Seeds ultimate cross Black Dream which produces exceptional yields of high quality weed. And if your looking for something super powerful TNT Kush offers the ultimate stone or for medicinal users there´s a new CBD rich version. Buying cannabis seeds has never been easier at the Original Seeds Store when you can buy in multiples of single one seed packs right through to bulk seed packs of 200 and when it comes to making the right choice of marijuana seeds for your indoor grow room or outdoor garden then Eva Female Seeds are guaranteed to have one that will slot perfectly into your grow cycle. I'm very happy with the service and quality of seeds I bought from Original Sensible Seed Co. Thank You and I will be buying more soon. "A Happy Customer"